The crash, which claimed a pedestrian, happened a year ago. 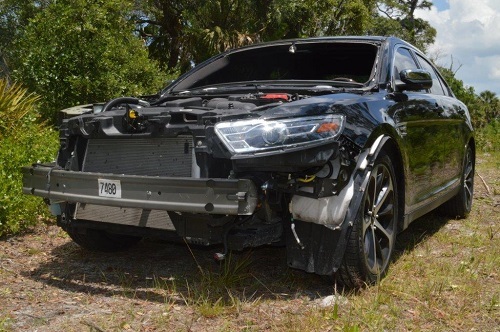 PASCO COUNTY – An Orlando man has been charged in a 2018 hit-and-run that killed a Spring Hill woman who was crossing U.S. 19, the Florida Highway Patrol said. 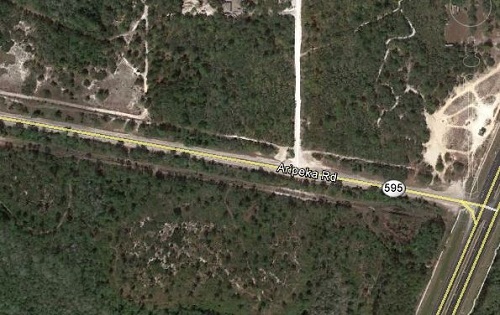 The crash happened about 11:27 p.m. on U.S. 19 south of State Road 52 in Pasco County. It is unknown if alcohol was a factor in the crash. 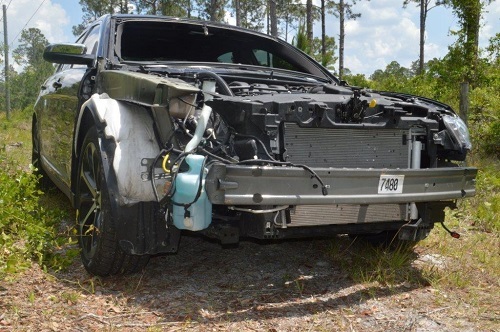 Troopers said Ms. Patterson was crossing eastbound across US-19 when she entered the path of the unknown vehicle, which was in the northbound right turn lane. The vehicle hit Ms. Patterson, then fled the scene, traveling eastbound on SR 52. 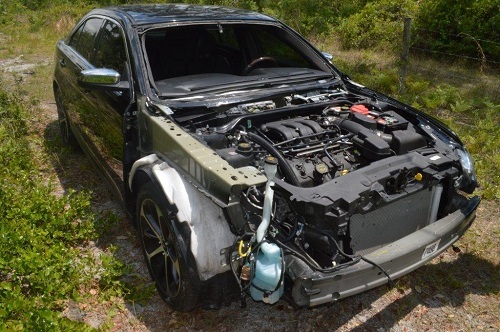 On April 21, working on numerous tips, troopers found the suspect vehicle, a 2015 Ford Taurus, on Aripeka Road west of U.S. 19 along power lines and behind a line of trees. 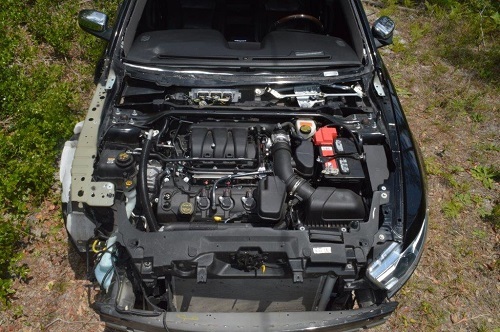 The car’s windshield, hood, grille, right headlamp assembly, front bumper and right fender had been removed and discarded. FHP troopers said Leissner was arrested Wednesday (April 10) after his release from the Department of Corrections in Orlando.He was taken to the Pasco County Jail. 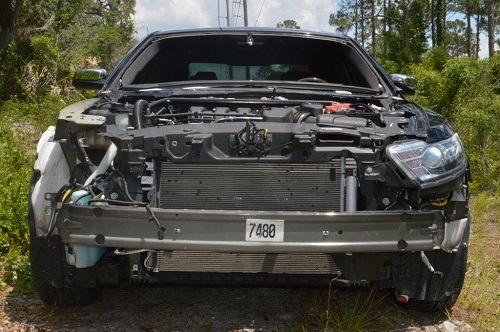 Photos of car and location map courtesy of the Florida Highway Patrol.